Buying organic fruits and vegetables can be very expensive, but a report issued by the President’s Cancer Panel in 2010 recommended eating produce without pesticides to reduce the risk of cancer and other diseases. What do you do? According to the Environmental Working Group (a consortium of policymakers, scientists, and researchers), certain types of organic produce can reduce the amount of toxins you consume by as much as 80%. 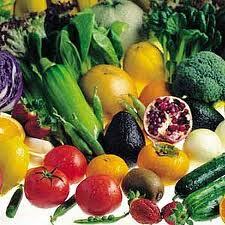 So which fruits and veggies are the most important ones to buy organic. 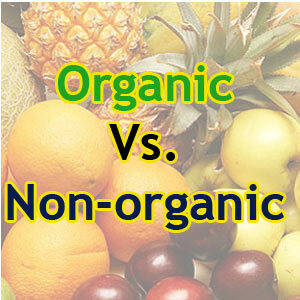 The Dirty Dozen refer to those items you DO want to purchase ORGANIC. Celery …Peaches …Domestic Bueberries …Cherries …Nectarines …Potatoes …Strawberries …Sweet Bell Peppers …Imported Grapes …Apples …Lettuce …Spinach/Kale/Collard Greens. The Clean Fifteen refer to those items that are safer and NOT AS CRITICAL or necessary to purchase organic. Onions … Sweet Peas … Cantalopes …Avocados …Asparagus …Watermelon …Sweet Corn …Kiwi Fruit …Grapefruit …Pineapples …Cabbage …Sweet Potatoes …Mangos …Eggplants …Sweet Onions. With regard to other fruits and vegetables, Orecchio recommends buying organic, but points out that one should consider the thickness of the out, protective layer of skin. For instance, a mushroom is like a sponge and soaks up everything so definitely buy organice. On the other hand, you will probably be okay not buying organic bananas. By all means, you should always wash all produce, but don’t assume that washing will eliminate pesticides; it will only reduce them.